A beautiful oakleaf hydrangea in Rhode Island. MIDDLEFIELD, Conn. - Is it time to prune your hydrangeas? That depends on which of the five varieties of hydrangeas you grow. 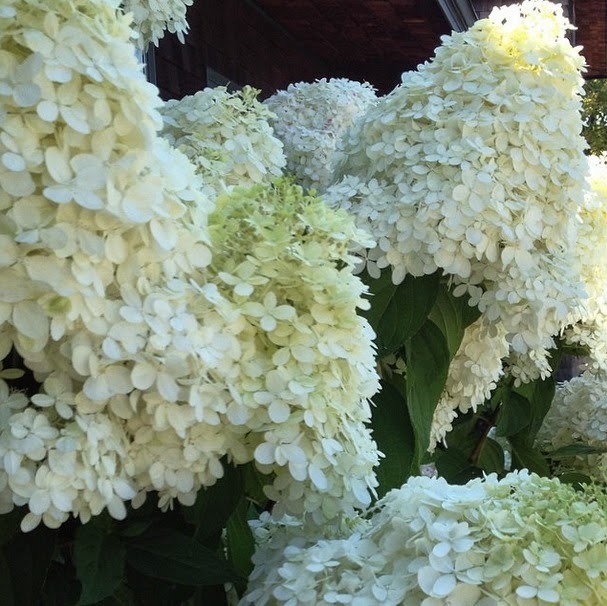 Valley's favorite hydrangea is the oakleaf hydrangea, which is a "pretty easy plant to grow." It is hardy to USDA Zone 5 in well-drained soil. It has exfoliating bark which also adds to its design appeal. "If we didn't cut it, the plant would have no reason to push out new growth," Valley said. "After you cut it off, the plant says, 'My God, I lost half of me!' and will start to grow again." This variety of hydrangea does best in part shade and blooms from June to early July. The flowers open white and fade to pink as they age. The leaves will turn a burgundy color in the fall and the flowers (now brown) will stay on the plant all winter long, which can provide winter interest for the garden. This variety of hydrangea is lightly pruned every year. Reference books agree that this plant blooms on old wood (which typically means pruning now in late summer), but Valley has had success pruning them in the spring by a third. "Every five years, prune out the old wood to spur new growth inside," he said. "Once it fills back in it will look much better." 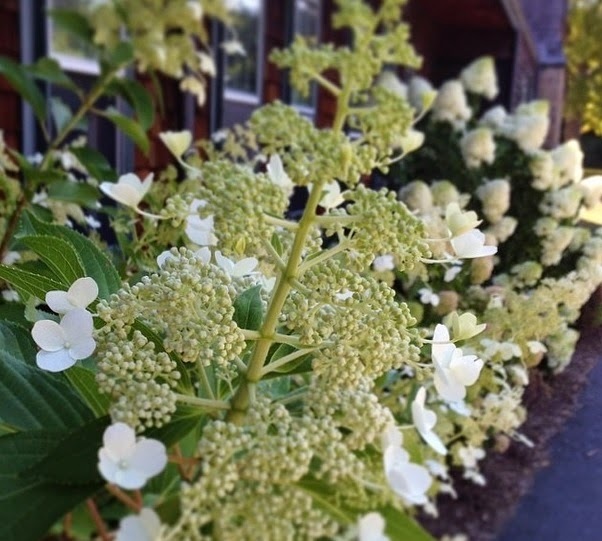 "Paniculata hydrangeas are tough plants," Valley said. "You have all winter and early spring to prune it back. If you prune in early spring, you end up with larger flowers. If you prune in fall, you get much sturdier stems but smaller flowers." This variety of hydrangea blooms on new wood, has the ability to reach 6 to 8 feet tall and wide, and will grow in full sun to part shade. 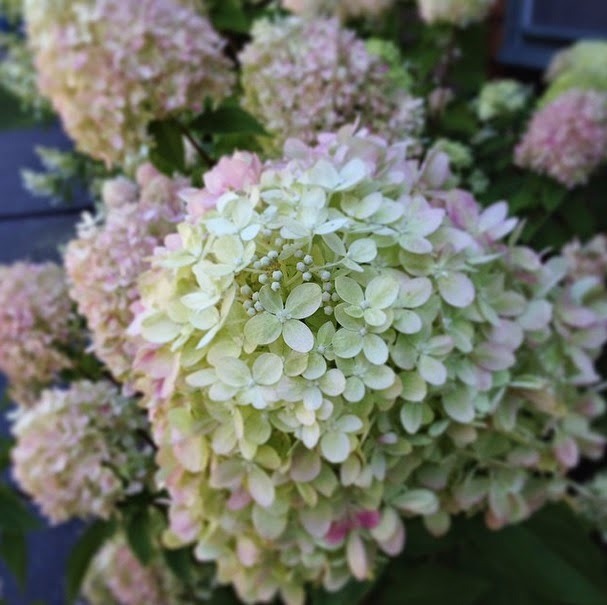 A few examples of paniculata hydrangeas are Limelight and Pinky Winky. Pruning paniculata hydrangeas is a good garden chore for the first warm day of spring when gardeners need an excuse to be outside. "You take about a third of the plant off to increase branches in the growing season," Valley said. When pruning, make sure the cuts are uniform so the entire plant grows at the same rate. "After five years, take out the main branches to reinvigorate the plant and spur new growth." "If you never prune them, the rain will make [the flowers] flop down, and it's hard to get them back up," he said. "An unpruned one will look more wild. A pruned one will be a nice bush," he said. For the paniculatas offered in tree form, Valley recommended pruning them "hard" for the first couple of years while the branches are still in reach. When it gets to be a tree it will already have its shape. It is hardy to USDA Zone 4. The most popular varieties in this category are Incrediball, Annabelle and Invincibelle Spirit for either their pink or white flowers. It is hardy to USDA Zone 4 and will grow in full sun to part shade, roughly 4 to 6 feet tall and 3 to 4 feet wide. The climbing hydrangea is the easiest of hydrangeas to grow in that it usually does not require pruning. It can be trained to grow on a wall or trellis, or even a brick or concrete wall. "On places you can't get a clematis or wisteria to vine on - this will work," he said. It climbs by aerial rootlets and does well in full sun to part shade. Firefly is one of the more popular varieties due to its variegated leaves. The slightly fragrant flowers are 6 to 10 inches across, and it blooms in June for two to three weeks. If pruning is necessary, the best time to do so is right after flowering. The main stems of the plant resemble a tree. "If you saw one of [the stems] off, it will spur new growth," Valley said, which can help fill in barren areas. It is an adaptable hydrangea, but does very well in rich, well-drained moist soil. It is hardy to USDA Zone 4. A tree form of Hydrangea paniculata.